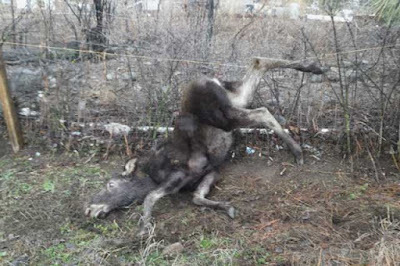 A man in West Kelowna, British Columbia, Canada, saved a tangled baby moose from a fence last week - and he’s got the bruises to prove it. 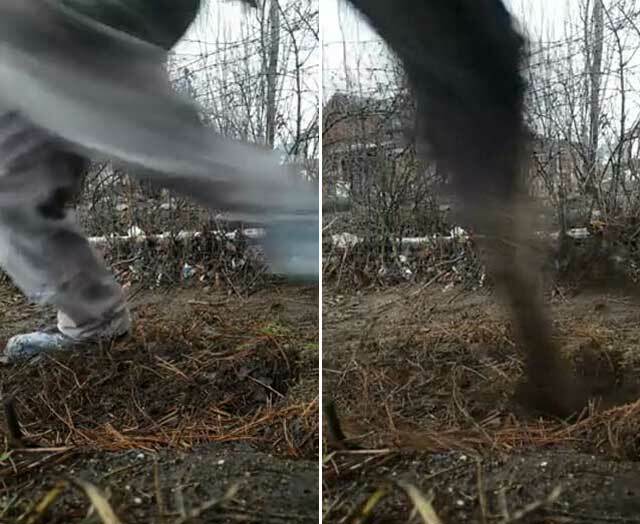 Marc Schoene managed to save the young moose with the help of his neighbour and even filmed the encounter. 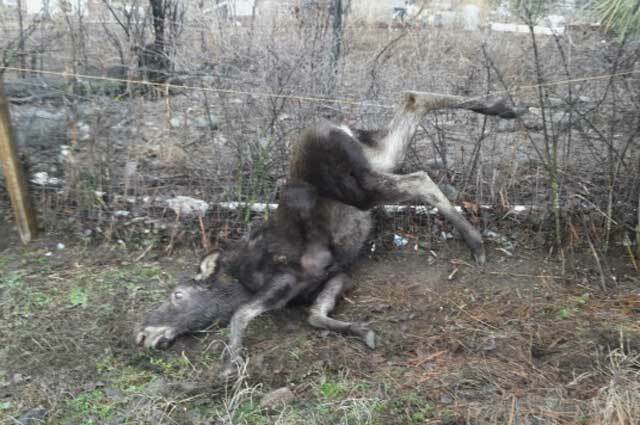 "It got spooked by the neighbour's dog and tried to jump over the fence onto our property and got its back legs stuck in the fence," Schoene said. "It was definitely in distress and breathing really heavy and obviously scared, so the first instinct was to rescue it and just cut it loose." And his reward for setting the moose free was that the massive animal attacked him. "It just looked at me and I just assumed it was going to take off, but it just lunged at me with its front hooves," he said. "I was able to turn just in time but it still got me three or four times in the shoulder and lower back. It was scared, didn't know what was going on, and I was the first thing or person or threat it saw, and I thought that was a natural thing for it to do." After giving Schoene his reward, the moose jumped several more fences, successfully, this time, and scampered away. And while he hasn't seen the moose since, he does have the somewhat-comical video of him being chased by a moose to help him remember the encounter. "I figured I'd just make a video of me cutting the moose loose. I wasn't expecting it to attack me, that's for sure." The story is good, but the video was a major disappointment.